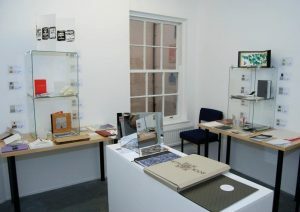 The first Sheffield International Artist’s Book Prize was one of the inaugural events at Bank Street Arts in Sheffield. The Prize was the idea of John Clark, founder and Creative Director at Bank Street Arts. 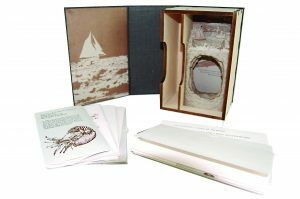 As a hybrid Arts Centre, keen to encourage multi-disciplinary work, artist’s books were a natural area of interest for all of those involved with the organization. 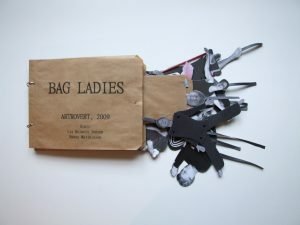 Originally a response to the challenge to find an appropriate context for showing artist’s books, the event itself grew in scale and popularity and became a key element of the Centre’s activities between 2008 and 2016. John Clark left Bank Street Arts in 2016 and following the demise of the organisation a year later, set about the task of finding a new home and focus for both the Prize and resultant Collection in 2018 along with volunteers who had previously worked on the event. 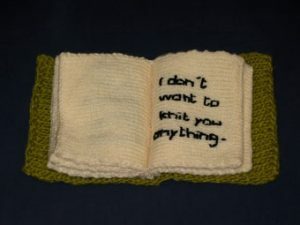 The original idea of a competition was borne out of conversations with participants and visitors to the Leeds Artist’s Book Fair in 2008. Whilst there was no artist’s book prize in the UK at the time, the aim was to do much more than simply create a Prize or run a Competition. Rather, the Prize was a vehicle for encouraging visitors to handle and view the books on display and spend time with the exhibits – rather than casting a cursory glance at the works in glass vitrines – so the decision was taken to make the visiting public arbiters and judges of the Prize, with all visitors asked and encouraged to vote for their favourite book(s). To encourage submissions, all books submitted were shown in the inaugural exhibition and the policy was established of the Prize being free to enter. The first Sheffield Artist’s Book Prize in 2008 attracted nearly 50 entries from all over the world and several hundred people cast votes for their favourite book. The winner was Katherine Johnson, who in addition to the cash prize was subsequently invited to exhibit at Bank Street Arts and so the prize began to grow from its initial modest ambition into a way of establishing collaborative relationships with artists, and linking their book works to other parts of their practice. This development was taken a stage further with the second installment in 2009, when additional prizes were added to broaden the scope of the Prize itself. The Main Prize was retained in order to ensure the link between visitors and exhibits but to that was added a Student Prize and Special Jury Prize, encouraging a greater range of artists to submit and leading to more exhibitions arising from the event. 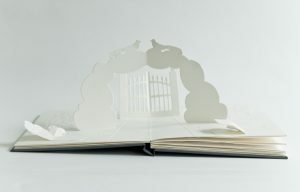 The Second Artist’s Book Prize in 2009 attracted 78 entries and many more visitors to the exhibition. The winners were Danish art collective Artrovert, while the Special Jury Prize was awarded jointly to Claire Tindale and Ann Rook and the Student Prize was won by Angie Butler. In order to continue to develop the profile of the Prize it became a biennial event, allowing more time to prepare and follow up the show itself and to cope with the administration involved whilst retaining the open submission policy and free admission. In the spirit of sharing and handling books, which the Prize has always sought to foster, entrants are encouraged (though not obliged) to donate their books to our Collection. This is exclusively made up of entries to the Book Prize and is available for public view and shown intermittently in exhibitions and fairs. Donating books in this way has also allowed them to find their way into other collections (with sale proceeds going to the artists). Notably, Katherine Johnson’s 2008 Book Prize Winner ‘Make’, was acquired by the Centre for Fine Print Research Collection at UWE in Bristol, while Claire Tindale’s ‘Memory Loss’ was acquired by Tate Library, London and representatives from these two organizations made up the 2011 jury. The Prize continued to grow in 2011 with entries almost doubling to over 170, including over a third from overseas (22 different counties) and over a quarter for the Student Prize. This upward trend further continued in 2013 – as a result of sponsorship and funding we were able to offer increased Prize Money, extend the duration of the exhibition, add a printed catalogue into the mix and finally do justice to the Collection in terms of display and touring. Entries increased to over 450 from 35 different countries with more than half coming from outside the UK, and included over 100 entries for the Student Prize alone. The quality of work on show remained incredibly high and we even had an entry from the 2013 Turner Prize Winner. The volume of entries, and the decision to show all books entered, meant that the 3013 Prize became the largest Prize for artist’s books in the world both in terms of entry numbers and exhibits in the culminating exhibition. 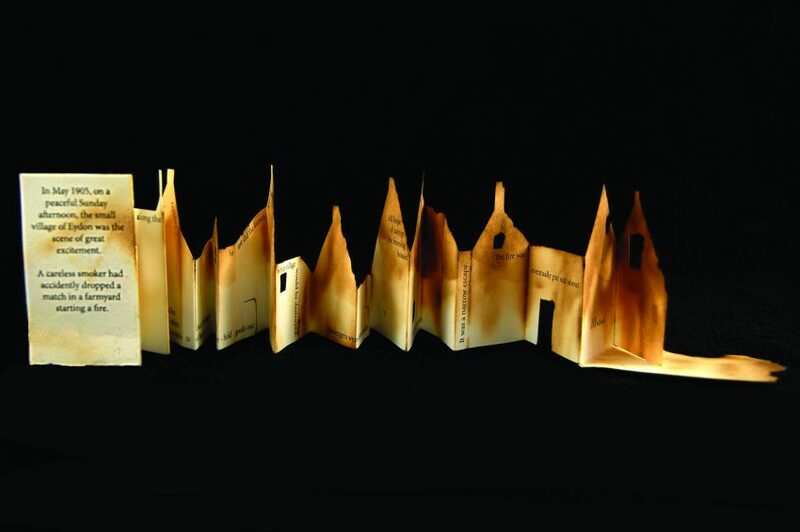 In 2013, the Book Prize was made the central part of a larger Book Arts Festival, Opening Up the Book, staged in conjunction with both Sheffield universities. To solve the problem, if problem it was, of having to deal with an ever growing number of entries to the Book Prize, the decision was taken in 2015 to extend the scope of the Book Arts Festival but restrict the number of entries shown in the Prize exhibition itself. The CuratorSpace platform was used to allow for an online submission process for the first time. The interface was adapted to suit the requirements of the Book Prize. This allowed us to retain the important aspect of an open submission event but potentially be able to limit the number of books exhibited, in the interests of showing a more manageable number both for visitors and organisers. Further changes were made to refresh the event. There was no single winner as Jurors had found it increasingly frustrating choosing a winner from such a large and eclectic entry. The Prize money was accordingly divided between a list of ten selections made by the judges, in addition to visitors’ favourites. It was also impractical to offer exhibitions to all winners, not least because the future of Bank Street Arts was uncertain. In the event, the 2015 Prize still attracted over 390 entries from which a selection of 250 was made for the exhibition. The event was the most successful to date in terms of profile, visitor numbers and the quality and range of books on show. At the time of writing, late 2018, the Book Prize and Collection is searching for a new home, with the intention of running the sixth edition in 2019 and again being able to make use of the incredible resource that is the SIABP Collection.